Part one of this 3-part blog series ends at the point where I received an unexpected opportunity to return to my former law firm and the practice of law. My goal for these first 2 blog posts isn’t to tell my life story and have hundreds of people read and share it. I simply want to offer some of my backstory for anyone who might be considering working with me in some capacity and is curious about my professional background. 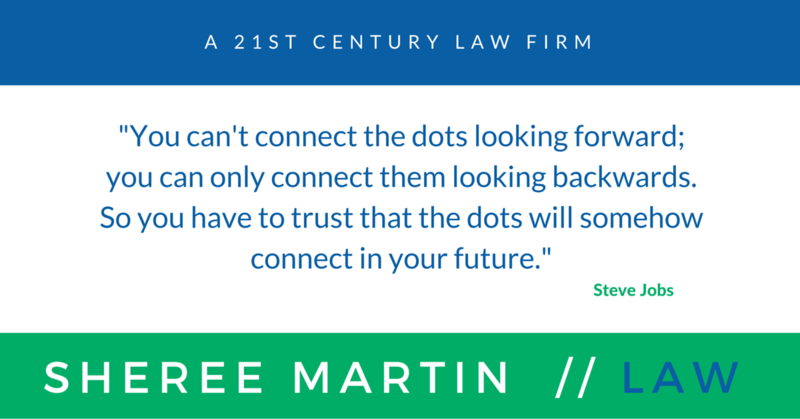 It was late May 2007 when the possibility of return to law practice with my former firm first came up. It was not something I’d considered, let alone pursued. if I combined my business law background with everything I’d learned about the internet since 1997, the new media technology of Web 2.0, and the burgeoning move by universities to commercialize patents arising out of faculty research. I also saw opportunities to develop a niche in sustainability law to help businesses who cared about the environment do more than simply get permits. I said “yes” to a formal offer in June and began making plans to move back to Tuscaloosa at the end of July when I completed teaching a summer section of media law. The University of Alabama was in rapid growth mode at the time. Robert Witt, then president of UA, had put forth a strategic plan to grow enrollment from around 23,000 in 2003 to 35,000 or more in a few short years. If I’m not mistaken without doing any research, by 2007-08 enrollment was around 28-30,000 students. The University growth was reshaping the face of Tuscaloosa, including housing. I officially returned to law practice work at Rosen Harwood, P.A. the end of August 2007. The reception at the firm was warm, as I knew it would be, and I settled into something of a routine. I focused on getting back into the swing of law practice, reestablishing relationships with former clients and other professionals with whom I’d worked in the past, while growing my network to establish a few niche areas. I drove up to Birmingham in September 2007 with another attorney to attend what I believe may have been one of the first Innovation Depot tech networking events. That was a great evening. One of the firm’s lawyers had introduced the StrengthsFinder 2.0 assessments as a way to build great teams of attorneys and professional staff to meet the needs of clients and I enthusiastically took the assessment and studied my results (I’m a geek about these types of things). I took the StrengthsFinder 2.0 assessment again in June 2012 as part of a leadership training program and got similar, although not identical results. Strategic, Ideation and Learner continued to be common themes. More about that in future posts. Everything seemed to be going well for me professionally during that last quarter of 2007, in spite of the emerging economic headwinds that turned into the crash and the Great Recession. The full effects of the economic meltdown didn’t really start to appear in Alabama until 2008. I don’t need to go on too long in this post to explain how the economic meltdown reshaped my plans for Law Practice, Phase 2. The Great Recession gave us 1300 exclamation points for the Everything Has Changed thesis. Mostly likely, I could have stayed where I was and continued to trudge along practicing law along the same lines that I’d practiced law from 1992 – 1997, but that just didn’t seem right for where I was being led in my life. During those two years while practicing law in the midst of the economic meltdown, I spent a lot of my free time studying entrepreneurship and the tech world. I learned a lot about economics, finance, business organizations far behind what I needed to actually practice law. I wanted to understand what was going on, as least as well as anyone could understand what was happening at the time. At the height of the recession in late 2008 and early 2009, when it was clear this wasn’t a normal downturn, I began to peruse academic position announcements. Academia was about the only professional field that wasn’t entirely on hold at the time and even in academia many job searches were canceled during midstream due to funding cuts. A slightly-funny aside: I intentionally avoided reading Tim Ferris bestseller, The 4-Hour Workweek, that was published around that time. I thought the title sounded too gimmicky (it is) and, for that reason, didn’t want to waste my time. My mistake. I finally did read The 4-Hour Workweek in 2012. Had I read it in 2008, I might have tried a different approach to the next phase of my career. I ended up getting several interviews and over the course of a year, three offers. The first one I ultimately turned down because of location. At the eleventh hour before a new academic year got underway, I accepted an offer to become an assistant professor at Samford University and, basically, started over as a college professor. I didn’t realize at the time that all of my successes at Oklahoma State would not count for anything beyond two year’s years of experience (and ultimately, not even that) in the new appointment. I was disappointed that Law, Phase 2, had not turned out as I’d anticipated. Perhaps I should have been more patient. But when I look back at those years from the perspective I had in 2012, or the perspective I have today in June 2016, the view is quite different than what any of us could see or anticipate in 2009. 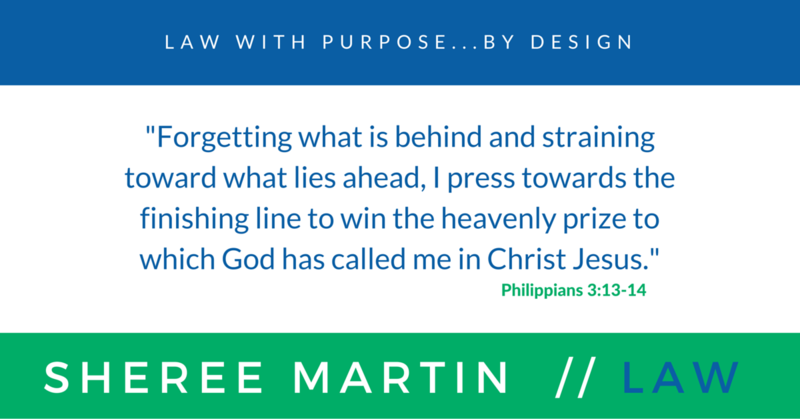 By the end of 2011, I knew that I needed to take a heartfelt and prayerful look at the direction I might go moving forward. I started that process in the spring of 2012 and took an entire year to revisit and reevaluate everything about my professional life, my values, my dreams. Once I had a established that framework, in 2013, I began moving forward toward that vision. That journey is what brought me to this place in 2016. I’ll share more about that in part 3 of this series. In 2007, I returned to the practice of law because I could, to some extent, see or perceive what lay just beyond the horizon. I saw the possibilities, even if the timing wasn’t yet right for me to pursue them. I knew enough about the internet and technology to comprehend how different everything was going to be and the opportunities that lay ahead. Like most people in 2007, I didn’t the economic and other land mines that would impede the way forward. What I didn’t have in 2007-08-09 was the right mindset or skill set to really identify and seize the opportunities that are emerging in the new normal. In 2007, I was highly tech-y for a female lawyer at midlife, but there was a whole new world that I hadn’t yet explored. It was the next few years in academia that gave me the opportunity to open those doors. I’m grateful for my second stint with Rosen Harwood, P.A. (2007-2009). I hope that I delivered value to my clients and to the firm and I’m beyond grateful for the opportunities my colleagues gave me at that time to reopen a door that I thought had been closed forever. Similarly, my time at Samford gave me the opportunity to develop and hone a new area of knowledge (social media and content marketing for business) and a new set of skills that I never would have developed in any other position. While at Samford, I was able to dive deeply into new media technology and learn to use software and explore internet technology, emerging science, and new ideas about entrepreneurship at a level that would not have been possible while practicing law full-time. Looking back, the dots connect, as Steve Jobs said, in ways that we never anticipate looking forward. At this point in the story, I move beyond looking back and begin to focus on the present and future.